June has come and gone, and we are officially in the second half of 2016! Take a look at your initial goals for the year, whether they’re professional, financial or personal. Have you achieved any? Take some time to reflect on what you’ve accomplished instead of where you’re falling short. Appreciating what you can do will give you motivation to keep going. A lot can happen in six months, so some of the goals might not fit anymore. Scrap whatever isn’t working and realign with the goals you still hope to achieve by year’s end. Maybe there is a goal you’ve had on your resolution list for the past five years, but you never seem to accomplish it. Or maybe you’ve set a goal so grandiose you aren’t sure how to tackle it alone. Figure out where you’re getting stuck and think about how to move forward. Could you work with a friend as an accountability partner? Or hire a coach or financial planner to take your efforts to the next level? 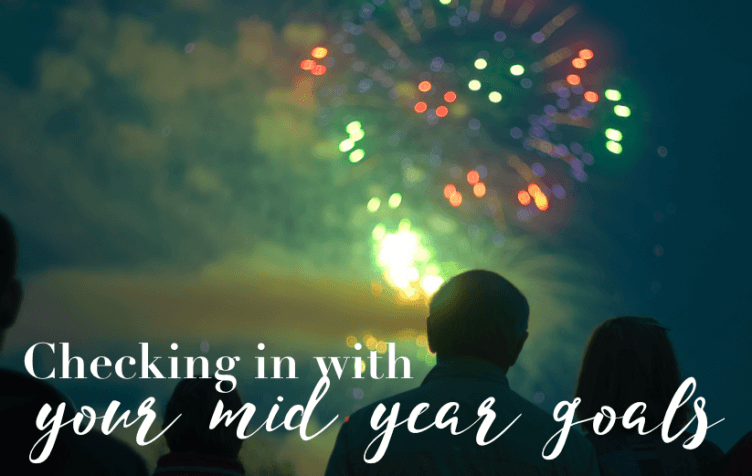 There is still time to check those lingering resolutions off the list once and for all, but it starts with you planning out the steps to get there. The summer is conveniently between tax season and year-end prep work season, so now is the perfect time to assess your investments and asset allocations. You might need to rebalance your account or take a look at your investments so far. Rebalancing your investments is key in making sure you’re not heavily toward either stocks or bonds. If you have too much invested in stocks, you’ll be vulnerable to market downturns. But if you have too much in bonds, you’ll end up with a lower return over time. If you’re working on maxing out your 401(k) contributions, how much more do you need to add? How much have you contributed already? This is also an ideal time to get some of your tax work taken care of. Run a tax calculator to verify you’re withholding or saving enough if you have estimated taxes, and make sure you have the minimum taxes based off of last year’s returns. This will help you avoid surprises come tax season. Once you have a good idea of where you’re at and where you want to go, it’s time to put together a plan of attack. Take your goals and expand on them so that you know your next steps. The best way to do this is to break them down into S.M.A.R.T. goals, which means that your goals are specific, measurable, achievable, realistic, and bound by a certain time or end date. A very common resolution is, “Save more money,” but that’s not helpful in your day-to-day life. To make that a S.M.A.R.T. goal, you would instead say, “Save $10,000 in an emergency fund by Thanksgiving.” The more specific your goals, the likelier you are to achieve them. Check out our year-end checklist to see if you are on track for hitting those checkpoints.